Sa’von King is a 24 years old and has been playing drums since he was 3. He has been on tours while opening up for John P. Kee and Bishop Paul Martin. He has also been a volunteer assistant at Central High School in previous years for the marching band. Jaris Tobler is the current orchestral director at Central High School. He recently graduated from Columbus State University with a Bachelor of Art Degree in Music Education with a concentration in String Instruments. He has been playing violin since the age 10 and has added in studies with viola, cello, contrabass, piano, and voice. Sophie is currently a Senior Music Major at Mercer University with a vocal emphasis in Classical, Cabaret, and Musical Theater. She is Mezzo-Soprano who has been a part of many opera and musical theater performances for the past 6 years through the Mercer University Opera and Duluth High-school Theater . For the past 3 years she has administered vocal and piano lessons with great results from students. 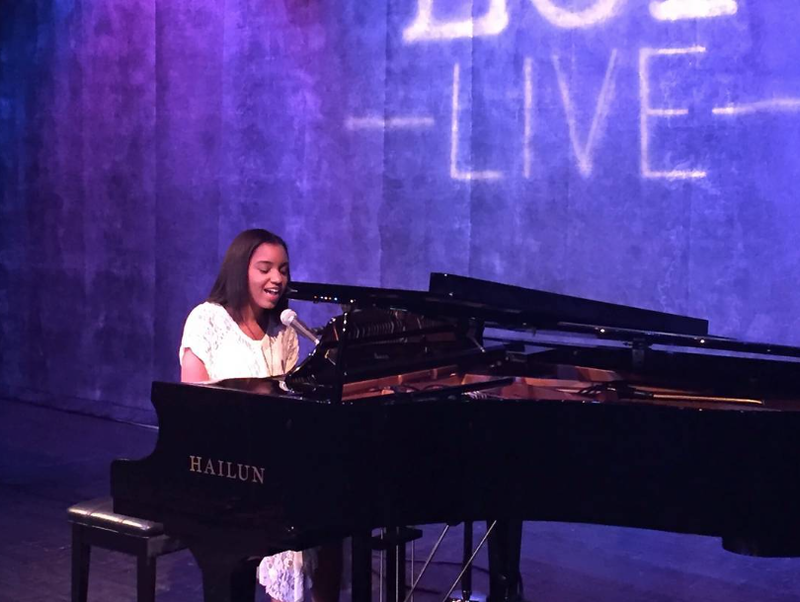 She incorporates her background in music theory, sight reading, songwriting, and improvisation into her lessons. Sophie's studio focus is on strengthening students raw talent as well as teaching them new ways to develop their skills. Sophie would love for your child to become a part of the Otis Redding Foundation's wonderful program! Brian has been playing the guitar since he was 16 years old. He received formal music training at the College of Charleston for two years in jazz guitar studies, before deciding to move back to Atlanta. Brian is self-taught on banjo, mandolin, and fingerstyle guitar, and is perfectly comfortable with all three. Since moving to Macon, Brian has played in the orchestra for multiple Theater Macon shows, and has played in venues around town with his wife, Georgia Olson. It is a privilege to be able to share his musical talents with the community in Macon. The Otis Redding Foundation has staffed the center with talented coaches eager to share their music knowledge. The Otis Redding Center for Creative Arts is open to children of all ages with or without musical background. 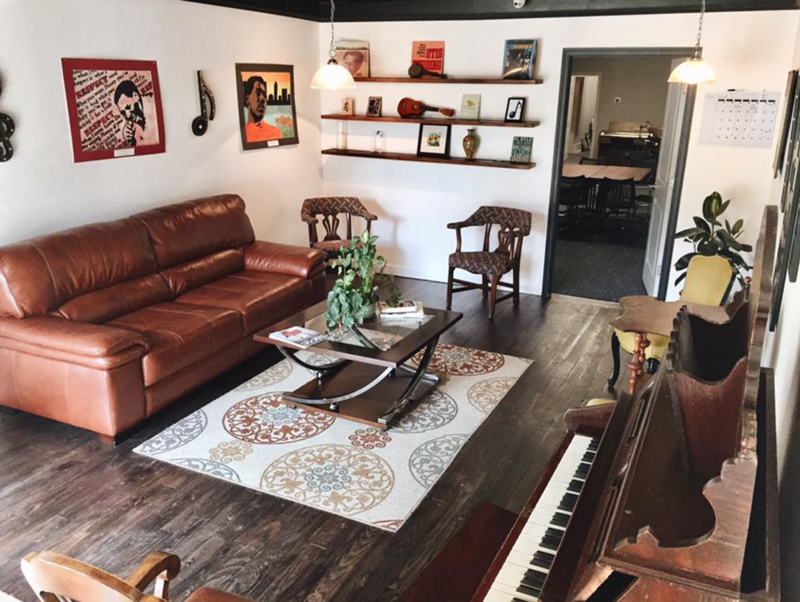 The center offers voice, piano, guitar and percussion lessons and is next door to the Otis Redding Foundation offices located in Downtown Macon. We gave the center a new look!